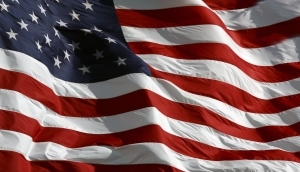 Over the years, The American Legion Family has influenced considerable social change in America, won hundreds of benefits for veterans, helped military families through transition and produced many important programs for our country’s youth.Today, ALA members across the country are helping military families cope with the effects of multiple deployments. The toll on our all-volunteer force and their families has been enormous.We know that military service is a sacrifice for the whole family, so ALA members quietly look for ways to ease the burden—whatever it takes to get that family back on their feet physically, mentally, socially and vocationally. If we don’t have the resources, we connect military families with our partners who do. Front row, from left: National Secretary Mary “Dubbie” Buckler (2009-2018); National President Kathy Dungan; National Vice President Nicole Clapp; and National Treasurer Sara Riegel. 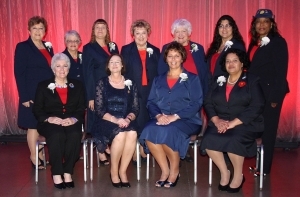 Back row: National Historian Brenda Collins; National Eastern Division Vice President Rita Barylski; National Central Division Vice President Teresa Isensee; National Northwestern Division Vice President Barb Vetter; National Southern Division Vice President Gloria Fochtmann-Haygood; National Western Division Vice President Janet Romero; and National Chaplain Dr. Deborah Blanch.